We started this journey by looking at the Object Explorer Details window(Object Explorer Details (Part I) – Underappreciated features of Microsoft SQL Server). I am sure that by now, most of you would have explored the Object Explorer details window and would have started to get used to it as part of your daily work life. Today, we will be doing something a bit more fun and productivity enhancing. Imagine the following scenario. You want to change the data-type of a column in your database, but are not sure about the impacted areas. You don’t have (or don’t have access to) any database documentation and don’t have the time to create any. What do you do? Simply right-clicking on a specific search result and choosing “Synchronize” navigates to the particular object in the Object Explorer! Let’s try searching for “Employee” and for “Nakul”. There are a lot of other things that can be done with the Object Explorer details window. You can view dependencies, confirm whether or not an object is matching up to preset policies and a lot more. The Object Explorer Details described in Part I, along with the using Red-Gate SQL Search make for very powerful database navigation and search. In the next post, I will be looking at how to filter objects within the Object Explorer itself. 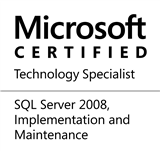 This entry was posted in #SQLServer, Blog, Imported from BeyondRelational and tagged #SQLServer on January 13, 2011 by nakulvachhrajani. Really am wondering and also getting thrill. Just one point i wanted to add that you can not say it is a drawback when its resulting only Objects.From your example Nakul is an Object so its giving result, when you come to employee its a description( i mean detail ness of that object) of that Object right. So i meant to say that we need to search Object only when ever we really wants to see what is there inside of the that Object . Thanks a lot for sharing such kind of silent features. @BalaKrishna: Thank-you for your comments and I am glad that you like my posts and are finding them useful. The drawback is in the sense that one cannot use the object explorer details for dependency checking (for example, the results will not return the stored procedure – proc_tmpNakul even though it might be using the “Employee” table/object simply because the stored procedure does not contain the word “Employee” in the name).